Gloria Jean's Coffees is an Australian owned global specialty coffee company, and is brand synonymous with coffee quality and leading franchise systems. 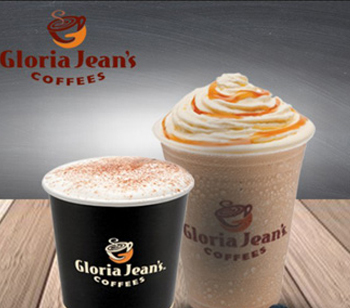 Gloria Jean’s is a franchised specialty coffeehouse company that has opened more than 1,000 coffee houses across 39 markets worldwide, including over 460 in Australia. Now, Gloria Jean's has nine branches in the kingdom of Bahrain. Arad, Bahrain City Centre, RCSI, Bahrain international Airport, Sultan Mall, Ramli Mall, Hayat Mall, lulu Hypermarket (alhidd) EWA. Copyright © SunCity Ventures W.L.L. All rights reserved.